What is Chiropractic? | Massachusetts Chiropractic Society, Inc.
Chiropractic is a health care profession that focuses on disorders of the musculoskeletal system and the nervous system, and the effects of these disorders on general health. 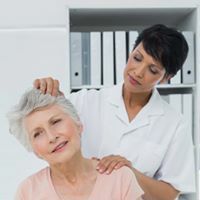 Chiropractic services are used most often to treat neuromusculos keletal complaints, including but not limited to back pain, neck pain, pain in the joints of the arms or legs, and headaches. exercise) that usually resolves within 12 to 48 hours. Compared to other common treatments for pain, such as over-the-counter and prescription pain medications, chiropractic’s conservative approach offers a safe and effective option.